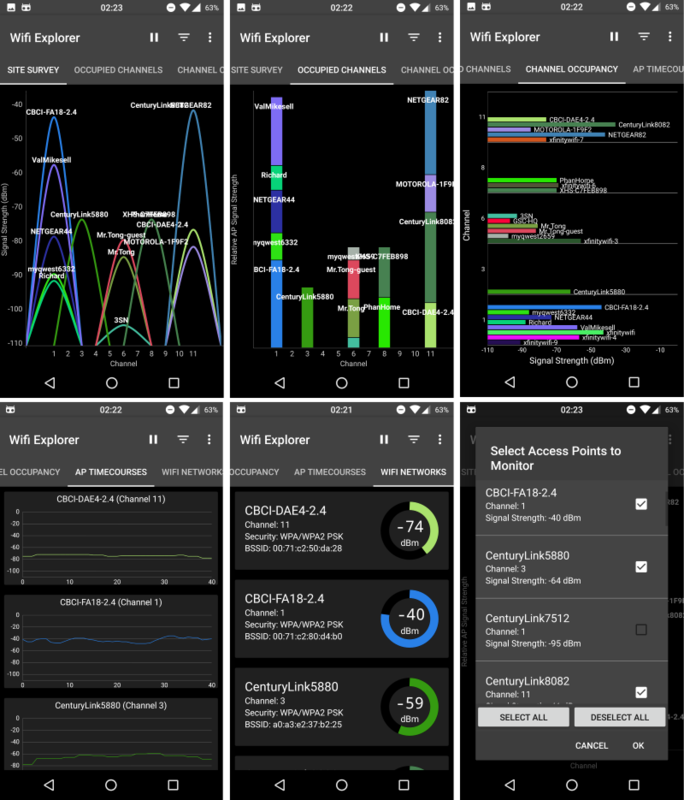 WiFi Surveyor turns data collected from RF Explorer spectrum analyzers into graphical charts and displays in real time, enabling users to more readily visualize the RF environment, monitor RF signals, troubleshoot RF issues, and detect sources of RF interference. In addition to spectrum analysis, integrated in the application software is a full-featured, Wi-Fi scanner — also known as an 802.11 network discovery tool. The software can be used to monitor wireless devices and RF interference that impact the performance, range and security of wireless networks. 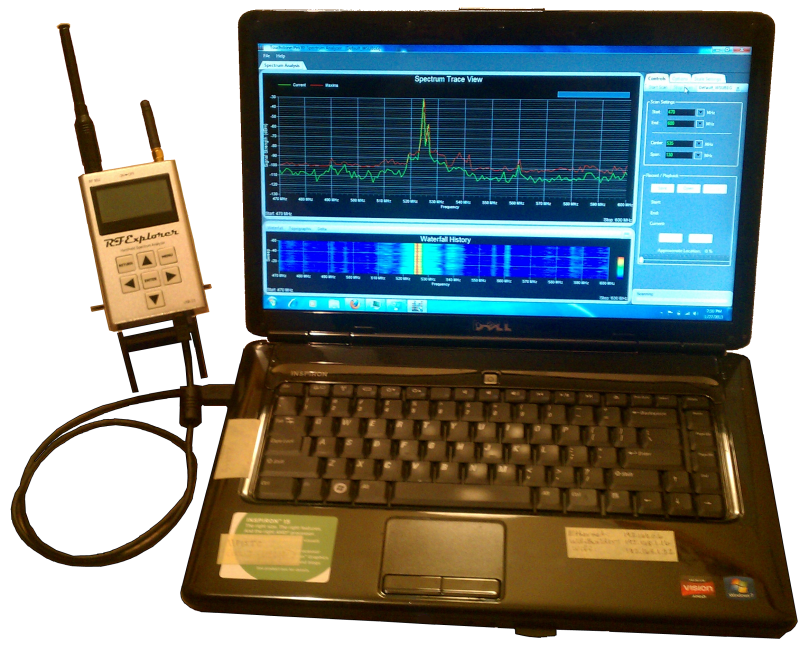 When installed on a laptop computer, WiFi Surveyor provides mobile, site survey information that facilitates optimal configuration of wireless networks and proper location of RF devices, and aids in identifying potential sources of interference. WifiExplorer is an 802.11 network discovery tool — also known as a Wi-Fi scanner. It was designed for mobile platforms — in particular, Android phones and tablets. Using your device’s built-in 802.11 radio, it collects information about nearby wireless access points and displays the data in useful ways. The diagnostic views are helpful when installing and troubleshooting Wi-Fi networks. WifiExplorer uses 5 diagnostic views that collectively provide an overview of your current Wi-Fi environment. In ‘normal’ mode all APs are displayed, while in ‘Monitor Mode’ only the APs of interest are displayed. WifiExplorer is a feature-rich, easy to use Wi-Fi diagnostic tool you are bound to love. The colorful charts help make troubleshooting a breeze. Enjoy it for FREE on Android platforms…. 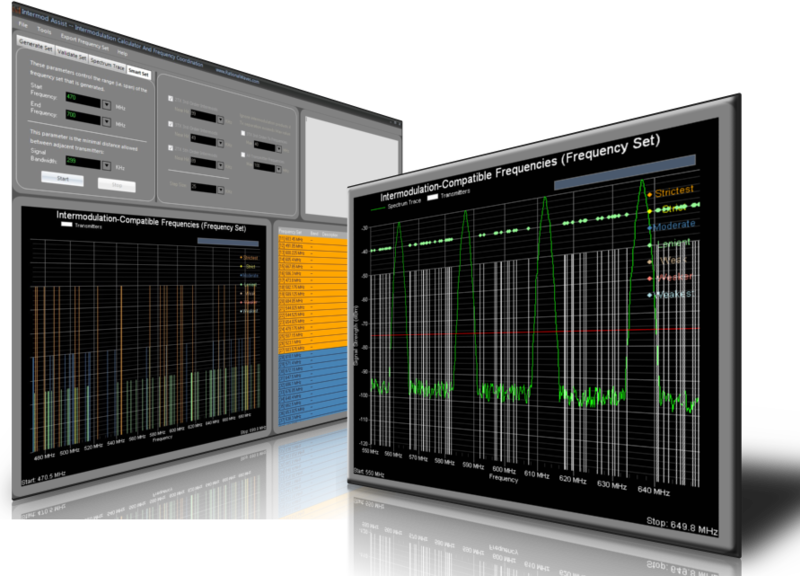 Introducing the latest, low-cost development in RF intermodulation analysis and frequency coordination — Intermod Assist. Intermod Assist is a new, ground-breaking software tool specifically designed for the wireless, professional audio and video industries. Its computational engine rapidly generates frequency sets of intermodulation distortion-free radio frequencies, applying user-defined signal bandwidths and channel spacing. These frequency sets can be used to coordinate transmitter frequencies where the goal is to assign the most reliable channels to your wireless audio and video gear — that is, channels free of intermodulation interference.